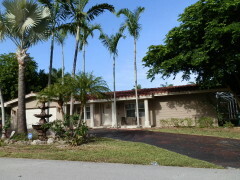 Our team just listed a great Palmetto Bay pool home! 17401 SW 89 Court, Palmetto Bay Florida 33157 is a great home looking for a family to call its own. The home has 4 bedrooms, 2 baths, a screened swimming pool, 2 car garage and sits on a corner half builder’s acre lot. Wow! The lot is lush with beautiful trees, including shade, palm & fruit trees. Split floor plan, spacious updated kitchen, tiled and wood flooring, cabana bath & more. Check with us for further details. It’s not in the MLS as I write this but will be soon! Get a heads up on the competition by calling us today!